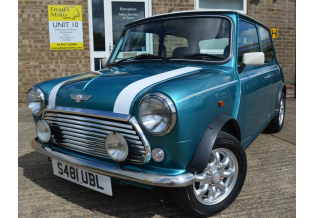 We are classic Mini specialists based in Soham, near Cambridge, UK. 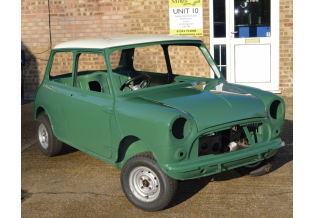 We are experts in classic Mini restoration and producing bespoke hand built minis. We pride ourselves on the high quality of our Mini restoration work; you'll be very hard-pushed to find a better restored Mini than our examples. We also offer used Minis for sale, along with a range of new classic Mini parts and restored Mini parts. 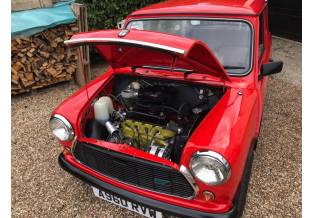 Dean's Minis is a family-run company owned by Dean Theobald, who is a classic Mini enthusiast and all-round petrol-head! Here are just a few of the cars he's owned over the years. Click here to read more about the company. We've been in business for over 29 years and have earnt our good reputation through high quality work and good old-fashioned service. I hope you enjoy looking around our web site. Don't hesitate to contact us if we can help you in any way.